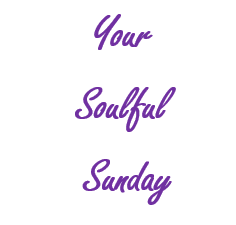 As our series, Your Soulful Sunday continues, enjoy this article from Organic Facts. Not sure if meditation is for you? Health benefits of meditation include relief from stress, anxiety, depression, insomnia, irritable bowel syndrome, chronic fatiguesyndrome and acute respiratory infection. It increases IQ, pain tolerance and helps in weight loss. It is also beneficial in maintaining blood pressure. Meditation is a mind-body  practice in CAM or complementary and alternative medicine. It can be of many types, most of which have originated from traditions, religion etc. There are certain techniques used by those who practice meditation. These techniques include focused attention, a specific body posture and no attention or openness to distractions without much of a response or reaction. When taken from the religion concept it may involve the use of prayer beads or any other item that is considered sacred to a particular religion. Meditation can be practiced  when standing, sitting or in the active way that is common among the Buddhists. Physical fitness incorporates its use alongside other exercisessuch as Yoga. This process is considered to be able to generate various forms of emotional state or alternatively encourage the development of a given mental reflex to various occurrences in the surrounding environment such as compassion, anger, and hatred. It has a calming and relieving result that helps to direct self-awareness inwardly until pure and controlled awareness is realized.